1991 330 MG with black trim and with newly added black and silver TV knobs. I want a 365 OS MG! Age 54, male, divorced. No, the divorce wasn't a result of RAS -- the ex, when she was still my wife, bought me my first Ric! Still grateful for that. Little does she know what she started, now up to 5 beautiful Rics and counting. Suffering a brutal heatwave here in beautiful Vancouver, BC. 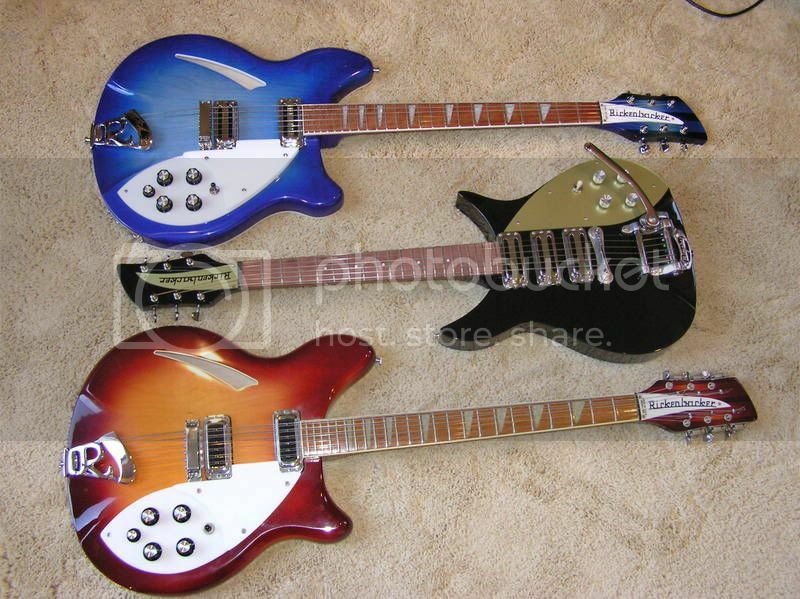 I've had several others over the years and these are the best looking guitars I've ever seen. 1992 4001V63PMC lefty- bought used in 2009. God must have been watching over me the day i found it. '82 620 FG that I used to play daily when I somehow convinced myself that I actually could play guitar. Bought it new in early '83. '07 4003 JG that I certainly play daily because for many years I've convinced myself that I actually can kinda sorta maybe play the bass. Bought it mostly new. I recently purchased a toaster to replace the hi-gain in the neck position. I would love to get my hands on a 4004cii, but I've never seen one live--not in all the music stores in the far reaches of the greater Los Angeles basin (and that's a BIG area, as you may know). 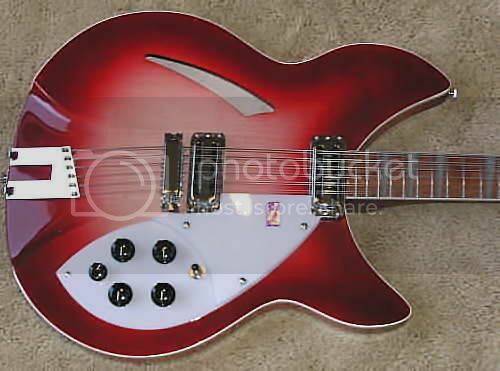 I would also like to try a 4003 fretless. Not to mention the Gibson inspired by Joe Bonamassa Gold Top and the Traditional Pro Heritage Cherry within the last 4 months. Oh yeah, and I added a CF Martin Custom D Classic last week. I now have 22 Here's the list. I was just a mere youth. My name is Steve and I am a Ricaholic! Wow, 22? We are not worthy. I'm 57, male, married, no kids. Would love to get a 330/6 MG with a nice flame next. Ticked that I missed the Musician's Friend sale. Oh well...saving my pennies. Hi All i,m 60 and have been married for 40.Presently own 4 Rics. 1, 2007,mid.blue 4003. 2, 2006 f.g.620 .3, 2002 f.g.360-12. 4,2007 mid.blue 360.